Preserving Traditions | Preserving our harvest, our heritage, our community, and our future. So what have I been up to in the last two years? I’m thinking about starting to teach again! If I did, what topics would you most like to see? After three years and something over 50 workshops, I am stepping down from heading Preserving Traditions. 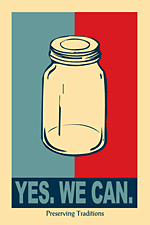 The last two last workshops currently planned are July 23 (Intro to pickling) and Aug 27 (Intro to Canning), both at the Chelsea Library from 7-8pm. What’s next for PT? I’m glad you asked, because the answer is largely up to you! The Pittsfield Grange is very interested in seeing Preserving Traditions continue, and has expressed strong support for the project. But what form should it take? Should PT retain its focus on food, or expand to other traditions, such as handicrafts like spinning, weaving, sewing, carving, soapmaking, etc.? How should PT relate to groups such as the Grange’s Junior Makers program (where kids learn basics of woodworking, electronics, and carpentry) and the ReSkilling Festival (which teaches all sorts of “people-powered” crafts from canning to beekeeping to permaculture)? How often should events be held? Should we do more demos, or more work days? What kinds of online resources would be helpful? And perhaps most importantly – who will keep the group going? I tended to take a “do all the organizing and most of the teaching” approach, but it need not continue on that way. There will probably be room for a number of volunteers and time commitments ranging from a few hours on one day to jobs spread out over seasons. If you would like to be part of the discussion, please contact Joan Hellmann c/o the Pittsfield Grange Facebook page, or via e-mail (preservetrad@gmail.com). There will be a one-time strategy and planning meeting to brainstorm ideas for moving forward. Coming to the meeting doesn’t commit you to any further participation, though of course we’d love to have people volunteer to teach, organize, or otherwise support Preserving Traditions with time. Root Cellaring: With or Without a Cellar! The basic idea of root cellaring is to work with nature to keep food fresh through the winter so you can eat it in March (or June) without canning or freezing it. This can be as simple as setting a squash on a shelf – you just have to store the food in the correct temperature and humidity (usually “as close to freezing as possible and very humid”) with plenty of good air circulation. Here’s a simplified chart of common foods, and the conditions in which to store them. Different varieties of vegetables have different storage properties. This is especially important for cabbage and apples. Choose small, dense cabbages with lots of dark green “wrapper” leaves still attached. Large, looser head of “kraut” or “slaw” cabbage will keep for a few weeks, but not all winter like “storage” varieties. For apples, store varieties that are picked late in the fall, not summer apples. Cameo and Honeycrisp are good keepers. Don’t store damaged produce. Cure potatoes, squash, and sweet potatoes for a few days in a warm, dry spot out of direct sunlight before storing. Check your stores frequently, and if anything looks like it’s starting to go bad, remove it immediately. You can often cut out the bad part and eat the rest, but don’t leave it in the cellar – what they say about “one bad apple” is very true! What’s most important are conditions immediately around the food. A bucket of potatoes in damp peat moss can keep will in a 25 degree, very dry garage, because in the bucket, it’s 35 degrees and humid. Anything will keep for a while if you keep it cool and dark. So, if your basement is 55 degrees, you’ll be able to keep potatoes for a few months, but they’ll deteriorate faster than if you kept them at 35. Any food storage is better than none! Try just a few potatoes, onions, and squash and see how long they last in the conditions you’ve got. Two conditions you can’t mess with: don’t let the produce freeze, or it’ll start to rot immediately, and don’t keep it sealed in an air-tight container or room without ventilation. The Complete Root Cellar Book Steve Maxwell/Jennifer MacKenzie Includes plans for apartments, etc. Beans are cheap, healthy, and many varieties are grown in Michigan! They’re great food, but a lot of people don’t know how to cook with them, or have had bad luck in the past getting them to cook up well. Here are a few pointers and recipes. The fresher the bean, the faster it will cook. Very, very old beans may never get soft. If you think you can’t cook beans, try starting with fresh beans bought from the co-op; keep them in glass jars at home. For better nutrition, shorter cooking times, and fewer crunchy beans, soak beans in cold water overnight. Cover the beans with about 3” of water in a glass, plastic, or stainless steel bowl or pot and let stand at least 8 hours. Any “split” bean (split peas, mung daal, split red lentils) and most tiny beans (lentils, black gram daal, adzuki beans) will cook in under an hour without soaking. Beans will foam up when you cook them. Use a very big pot so they won’t boil over. You can skim the foam or just ignore it. Add salt, tomatoes, and salty/acidic flavorings toward the end of cooking to avoid toughening the beans’ skins. Beans seem to benefit from a fairly heavy dose of salt, so if your bean dish doesn’t taste like anything, try adding more salt. Make big batches and store pre-cooked beans in the freezer in recipe-sized portions. Beans may be pressure canned (only – do not water-bath can!). Pour enough oil into a medium saucepan to cover the bottom one lentil deep. Add a chopped onion and 1c. lentils (brown, red, or green). Add 3-4 c. water and a bay leaf; bring to a boil then simmer for 30 mins. 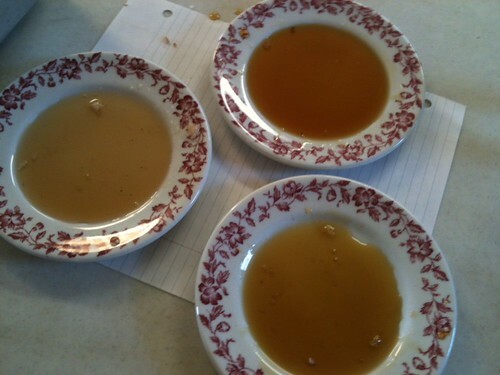 Use more water for soup; use less if serving over rice. The lentils should be mostly done but it’s ok if a couple still have a little crunch. Add 1 tsp. veggie bouillon, or about ½ tsp. salt and herbs to taste. Add 2-3 chopped carrots, greens, and/or a diced potato, if you like. Simmer 15 more minutes until all is cooked. Serve as soup, or over rice, with a vegetable side if you didn’t put the veg into the stew. Cook 1 c. daal (split mung beans, split red lentils, or yellow split peas) in 3c. water and 1 bay leaf until tender. Since you’re using split beans with no hulls, the beans will “puree” themselves as they cook. Saute in oil or ghee 1 small diced onion, 1 tsp. turmeric, ½ tsp. coriander, ½ tsp. cumin, ½ tsp. salt, and a teaspoon each fresh ginger and chopped garlic. Also add ground cayenne pepper to taste. Add the lentils to the toasted spice mixture. Add a bag of fresh or frozen spinach, or a washed and shredded bunch of kale. Cook until greens wilt; serve over rice. Soak 1 c. of dried pinto or cranberry beans overnight in cold water. Boil the beans with 4-5 cups water and a bay leaf for about an hour or so. Beans should be very tender. Drain, reserving some of the cooking liquid. When the onion is soft, add the drained beans and mash with a spatula as you stir. Add the reserved cooking liquid a tablespoon at a time until you reach the desired consistency. Add salt and dried spices to taste (cumin, chili powder, cayenne pepper). Frank Gublo, of MSU’s Product Center for Agriculture and Natural Resources gave a talk explaining Michigan’s new Cottage Foods Act, under which it is now legal for private parties to prepare and market certain foods. The topic obviously was of great interest, as we had 45 people in attendance and Frank fielded an enormous number of questions during the course of his presentation. Frank’s job with the Product Center for Agriculture and Natural Resources is to help people start up food-related businesses—to get good food ideas out of the kitchen and into the marketplace. Michigan’s Cottage Foods Act is right up his alley, as its purpose is to encourage local food systems and entrepreneurship. He spent most of his talk explaining the practical details of the act such as what home-prepared foods can be sold, where can they be prepared, who can prepare them, how can they be sold, hygiene and sanitation requirements, and what labeling must be used. Basically, only shelf-stable foods are permitted—foods with low risk for food-borne illness. These include dried herbs, dried pasta, popcorn, chocolate-covered items, cakes, dry bulk items, jams and jellies, breads, cookies, fruit pies, vinegars, coated and uncoated nuts. Foods that are out of bounds include all meats (which are regulated by the USDA), dairy foods (including all cheeses), canned fruits and vegetables, sauerkraut, pickles, and perishables generally. must be excluded from the area during food processing and handling, proven food processes must be used, and vehicles used for transporting the foods must be clean. Foods must be prepared by an individual or by members of a family living in the dwelling in which the food is prepared. You cannot invite a few friends over for a session baking cookies or making jellies and sell these items under this act. Foods must be sold by the maker directly to the buyer; there can be no middleman. It is not legal for a group of several food makers to assign the job of sales to one of their members. Only in-person sales are permitted. An annual gross sales limit of $15,000 is imposed by the act. And one must comply with all local zoning ordinances and regulations. Frank also advised that people planning to do business under the Cottage Foods Act would be well advised to discuss the liability ramifications with their insurance agent to make sure that they are adequately covered. 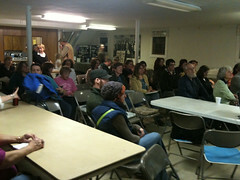 For further information, see http://www.michigan.gov/cottagefood, or the Michigan Department of Agriculture at http://michigan.gov/mda, or MSU’s Extension Service Washtenaw office at http://www.ewashtenaw.org. Thanks so much, Frank, for a most interesting and relevant program. And thanks, Dave, for writing up the program! Long overdue: Salad dressing recipes!